Private equity investors looking to put money to work are salivating over family businesses today. This seller’s market couldn’t come at a better time for baby-boom CEOs considering retirement. Understanding the process will help you assess whether partnering with PE is a good option for you. Private equity investors know good opportunities when they see them. And right now, their eyes are trained on family enterprises. For starters, these savvy investors know that profitable family businesses abound. Numerous studies of family-controlled public companies have found they outperform their non-family peers. What’s more, private equity firms are well aware that baby-boom business owners are staring down retirement. In a 2016 survey of family business stakeholders, PwC found 30% of those who planned an ownership transfer within five years said they’d seek to sell to an outside party, up from 12% in 2012. To private equity firms, family businesses can provide opportunities to create additional value by taking steps such as reducing costs or growing the business. When these factors are combined with the huge pile of money private equity has yet to invest — known as “dry powder” — family business becomes a rich prospect pool. “Anyone looking to sell all or part of their business is going to get a lot of attention,” says Brian O’Connor, managing director and co-head of the consumer group at Vestar Capital Partners, a middle-market private equity group that has invested in more than 15 family-owned businesses. Competition is so stiff that family businesses report they’re frequently getting cold calls from private equity groups trying to shake the tree. Bobby Stover, Ernst & Young’s Americas family office leader, says he receives a least a call a week from private equity managers looking for prospects for a new fund. Deals in recent years include the sale of Belk, once the largest U.S. family-owned department store chain, to Sycamore Partners in 2015; the acquisition of Lasko Holdings Inc., the largest U.S. provider of portable fans and heaters, by Comvest Partners and JW Levin Management Partners LLC in 2016; the sale of a majority stake in Argus Media, a producer of energy and commodity data, to General Atlantic in 2016; and the acquisition of a majority equity stake in Edward Don & Co., a distributor of food service and equipment supplies, by Vestar Capital Partners in 2017. In simple terms, private equity involves the raising of money from high-net-worth individuals, pension funds and other institutional investors. The resulting private equity fund is structured as a limited partnership and invests in family businesses and other private companies. The conventional model calls for the fund to take a controlling position in a company for about five to seven years, with the goal of increasing its value and making dazzling returns in a liquidity event, such as a sale of the company or an initial public offering. These active investors seek to boost returns through such methods as buying low, increasing revenues, tweaking strategies, changing the senior management team and cutting costs. Leverage, used to turbo-charge the return on equity, is critical. Similar to the process of buying a house, private equity investors allocate a certain amount of their own money to fund the deal and then borrow the rest. The leverage can boost the return generated by the investment — but debt also increases risk. The private equity sector has ballooned in the past 30 years to thousands of firms worldwide, from mega-firms like The Blackstone Group to boutiques. The amount of dry powder is at record levels, rising to nearly $1 trillion in the third quarter of 2017, according to Preqin Ltd.
For family business owners, there is a potential downside: The ultra-rational nature of private equity often is antithetical to their values. “Private equity has a reputation for being rapacious [and] slash-and-burn,” Kaplan says. Owners of family enterprises tend to be influenced by non-financial goals, such as maintaining control of the business, preserving the family identity and fulfilling commitments to employees, suppliers and the community, says Patricia Angus, co-director of the family business program at Columbia Business School and CEO of Angus Advisory Group. “They feel a deep commitment to employees, community, the environment and their reputation,” explains Diana Propper de Callejon, managing director of The Cranemere Group, a private holding company founded by Mai that invests in businesses to develop and hold for the long term. “Family businesses make decisions with their heart,” says Stephen McGee, managing director of Bigelow LLC entrepreneurial advisory firm. Consider that when the Lasko family decided to sell their business, the code name for the effort was “Legacy,” notes Jerry W. Levin, executive chairman of Lasko Holdings and head of JW Levin Management Partners. “It was absolutely critical they find a partner willing to continue the legacy,” Levin says. What’s more, family business owners are wary of leverage, which is a key part of private equity deals, explains Carrie Hall, who leads Ernst & Young’s Family Business Center of Excellence in the Americas. As private equity has evolved, firms are structuring deals that are more appealing to family business owners. Some private equity funds are willing to take a minority ownership interest and lengthen investment horizons. Private equity can bring diverse expertise to the table to help a company grow. As a group, private equity investors have gotten better at increasing value by improving companies rather than relying on financial engineering tricks, Kaplan says. Succession issues are generally cited as one reason family owners might welcome private equity. In some cases, shareholders might want to take some chips off the table to diversify holdings. At Lasko Holdings, the second-generation owner, Oscar Lasko, was in ill health (he died in April 2017) and his son, Bill, wanted to do other things, Levin explains. Bill Lasko’s children had no interest in the business, Levin says. Sometimes shareholder conflicts threaten a company’s wealth. 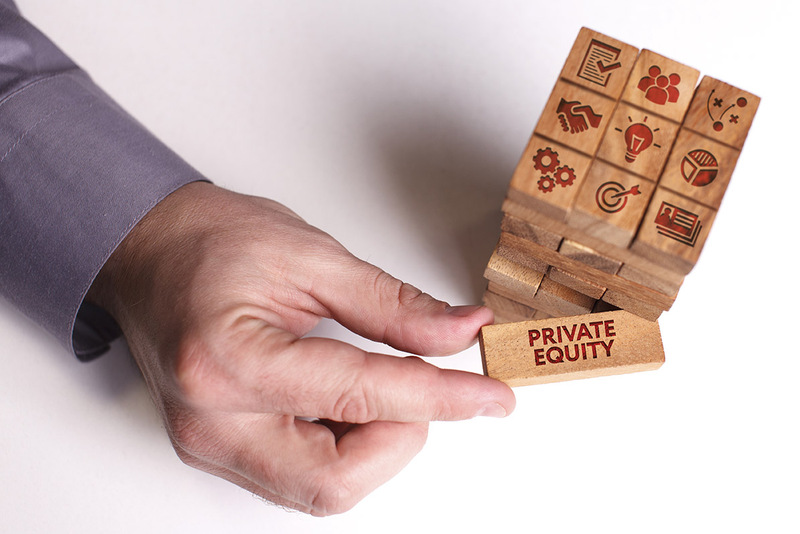 Private equity financing becomes a way to buy out a dissident shareholder and resolve the conflict, according to “Private Equity in Family Firms,” a study by Marisa Henn and Eva Lutz. Other families might want private equity capital and expertise to help them grow the business. Their goal is to retain a stake in the company. Mai’s advice to families considering private equity is to take their time and think through the decision. “If you rush things, that’s when you make mistakes,” Mai says. Maureen Milford is a business writer based in Wilmington, Del.